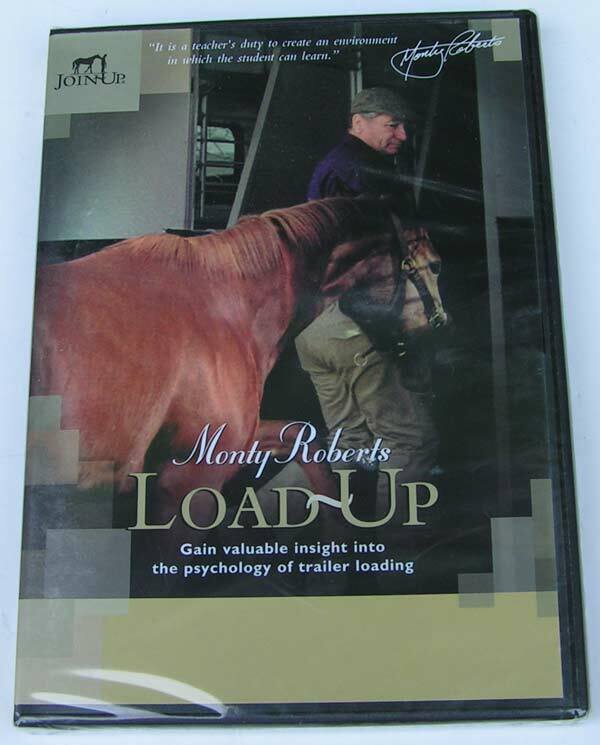 This DVD introduces the concepts of Monty Roberts (and Kelly Marks) techniques. 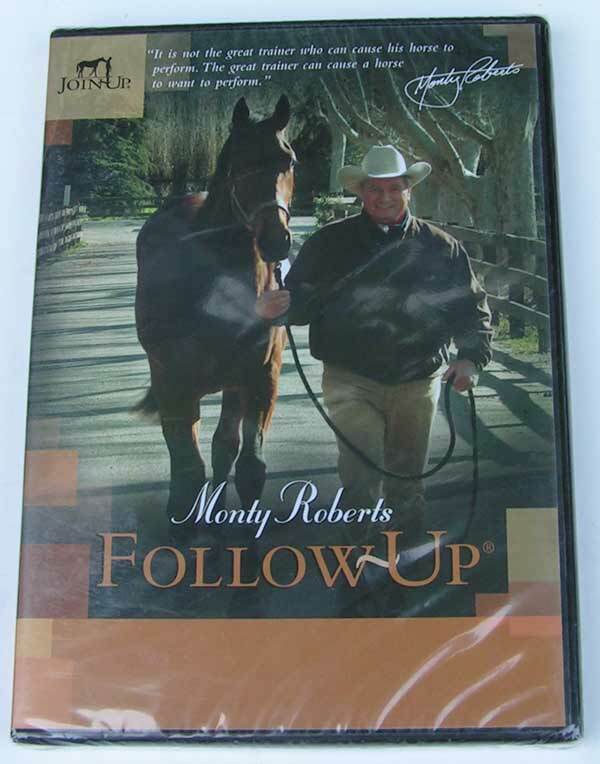 Shot on location at Monty's Flag is UP Farms in California, this program is an introduction to Monty's ground breaking work with horses. 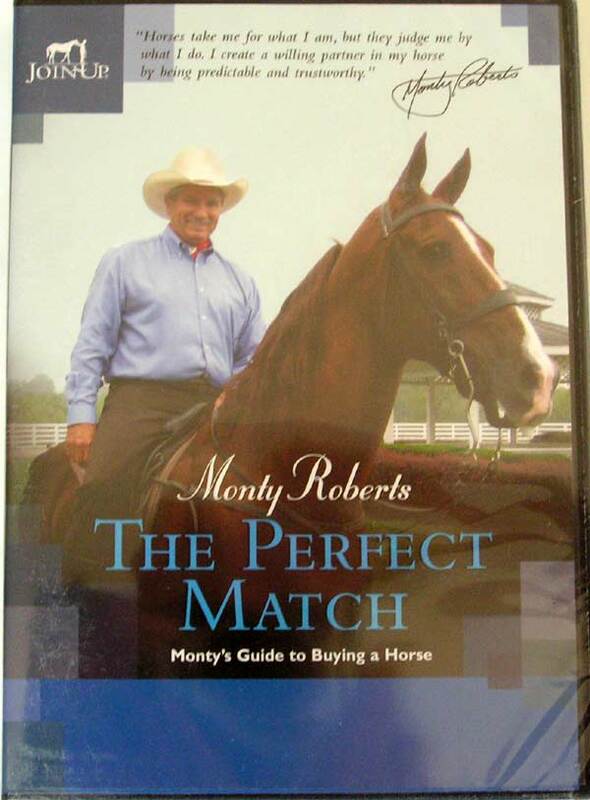 This DVD also has footage of Monty's famous cutting horse "Dually", the name for Monty's headcollar. 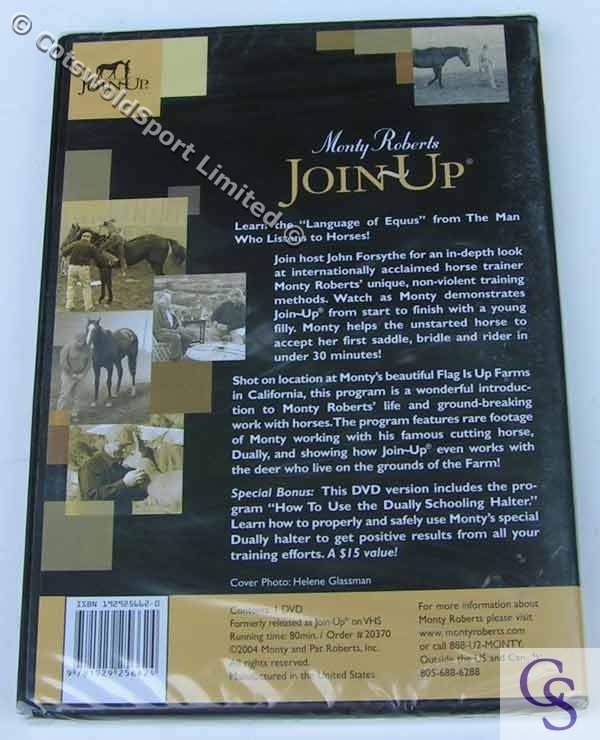 This DVD even shows the join up technique working on Deer! 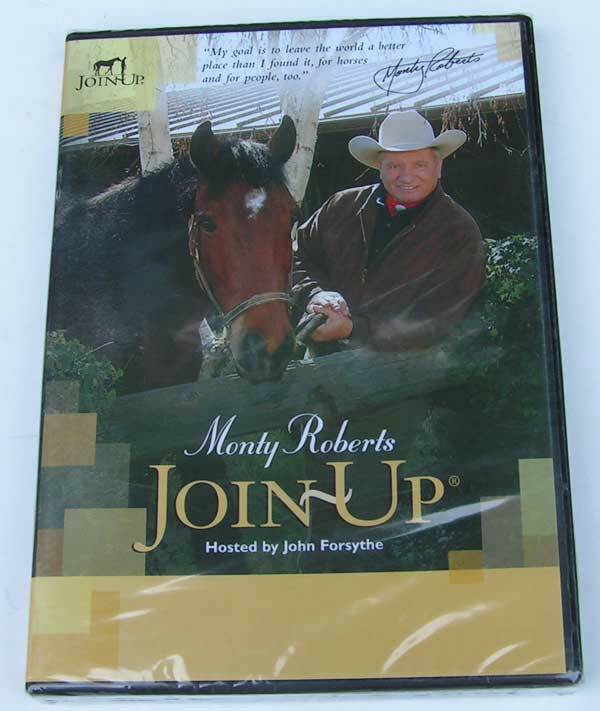 Bonus: This DVD also includes "How to use the dually schooling halter". 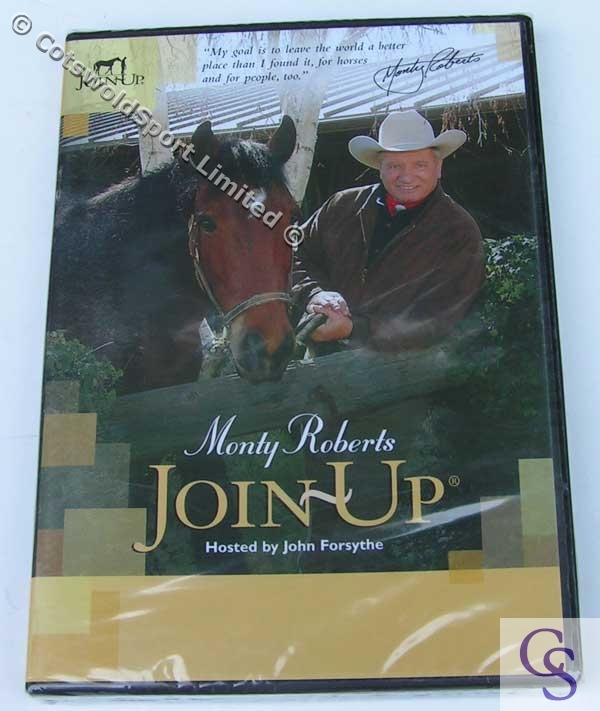 Video provided by Monty & Pat Roberts, Inc.
Join up is a consistent set of training principles using the horse's inherent method of communication and herd behaviour rathe than force. 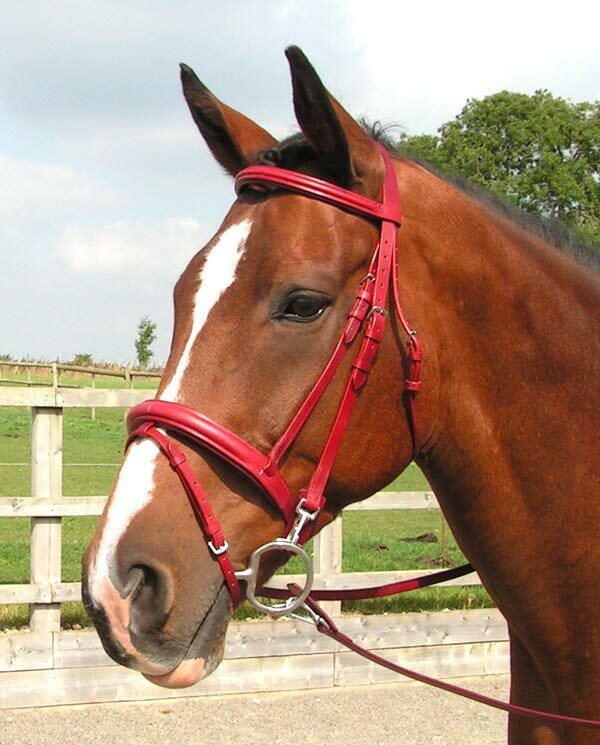 The result is a willing partnership in which the horse's performance can flourish to its full potential, rather than exist within the boundaries of obedience.